tame the tongue – For those trying to authentically follow Jesus. It is no secret that I am a Toby Mac fan. When I first saw this Christian artist in concert, I was not sure that I really enjoyed him, but then I heard him in a talk back session, and I realized that I liked what I heard from his heart. The more I see Toby, the more I like him and appreciate what he is doing to build the Kingdom of God. It is always with great anticipation that I attend his concerts. His very short testimony of one of his songs speaks to my heart in a new way. I have been enjoying his song entitled “Speak Life,” but during one particular concert he told us the story behind the writing of the song. Toby had read the Raggamuffin Gospel when he was younger. He says he remembers reading Manning’s words, “When you speak to someone you either speak life or you drain life, there are no neutral exchanges.” Hence, the song that Toby wrote was birthed. I’ve been thinking of this quote for a long time, “There are no neutral exchanges.” What about me and my words? Sure it is easy for me to speak life when I am doing the work of the church, that is easy. But what about when I am running into the grocery store to buy something quickly or as I move about my busy day in the world? When I am doing errands I have a purpose and I move through that purpose quickly. To be blunt and honest, people who are serving who are not on my same page when I am rushing around irritate me. Don’t get me wrong, I am not mean, I am not impolite; but I don’t speak words of life. I thought these were neutral exchanges. Toby’s words, “There are no neutral exchanges” have been haunting me. I can do better, I can be better. Maybe these exchanges have a divine appointment for me or for someone else. Maybe I am the one to speak life into someone else’s life who is drowning. After all, I know the Good News, and maybe I can speak enough life to allow a person to trust me so that I can share that Good News which is what really matters. Meanwhile, this week I have been practicing speaking life into the lives of those who would otherwise be “incidental” in my day. They have been wonderful exchanges. I am learning and growing. How about you? 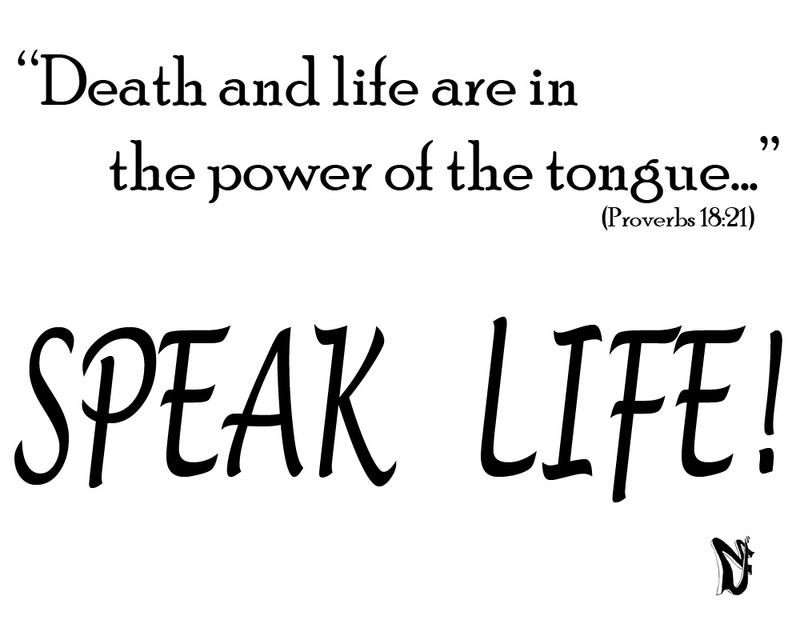 Do you speak life or do you drain life? Are you the one from which someone will remember the conversation or are you the one they wish they will never wait on again? As for me, I am trying to practice new habits. Thanks Toby, for giving me a new perspective on the way I speak in common everyday exchanges of words.